The most perfect piece of jewellery for all occasions, all outfits. An absolute favourite with everyone from A-List celebrities and TV newsreaders to office workers and busy mums, it looks utterly chic with everything from party dresses and wedding outfits to a simple cami-top at a barbecue. Most importantly, with off-the-shoulder dresses and tops currently the major fashion trend, it adds the most delightful finishing touch that completes the look to perfection. The Crystal Polo measures 16mmx16mm, is created in 925 Sterling Silver and boasts 48 cubic zirconia for maximum dazzle factor. 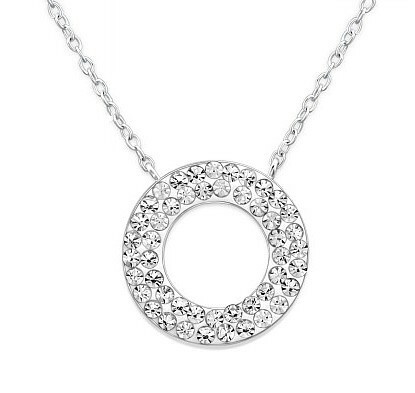 Set on a Sterling Silver chain 41cm/16” with a small 2cm extension. Silver weight 1.65g.